Caroline Camden Lewis. Gatsby. Watercolor on paper. 11 x 15 inches. (2016). SOLD to a private collector. 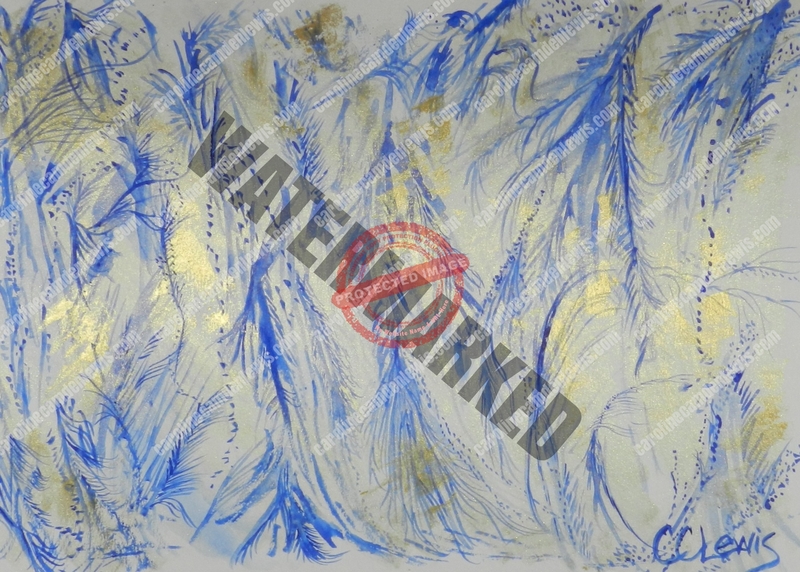 As gold and cerulean blue hues dance on paper, Gatsby evokes images of peacock feathers, elegance and of celebration.